A little while back, I started a three-part ‘SEO Basics’ series for bloggers. In this post I am finally getting around to writing the third part. I know, sorry for the delay – I don’t really have an excuse other than… life. Just to briefly summarise what I’ve spoken about so far, my first post was on identifying keywords for each blog post and my second was on writing metadata. In this final part I’ll be explaining how to make your blog posts more user friendly and therefore more favourable in the techno eyes of Google. As I have mentioned probably too many times in the previous posts (I’m sorry, but people don’t listen first time), two of the key factors that Google takes into account when ranking your site is value and relevancy. In other words, is your content providing genuine value for the user? Is it relevant to the keywords being targeted? One of the factors that the plugin Yoast measures is ‘readability’. This is linked to the ‘value’ part of the SEO process, as it is all about making your content as easily accessible to users as humanly possible. Remember, if it’s good for the reader then it’s good for Google. In this post I’ll explain all about readability SEO and the best practices involved. Okay so it’s not one of the most glamorous or exciting topics going but stay with me, it’ll get better. Besides, you’ll thank me when you’re bossing the SERPs (search engine results pages – I told you this was getting exciting…). ^ That thing right there, hovering above this paragraph. Sure you know what a sub-heading is but I’m always surprised by the amount of bloggers who don’t actually use them. Expecting someone to read (and stick with) a never-ending stream of consciousness is a big ask unless you present it in a way that is more digestible. Remember to use the appropriate h1, h2, h3, etc., heading tags rather than just making your headings bold. Sub-headings make the post more appealing to readers. So what does that mean? You guessed it! It makes it more appealing to Google too. See, it’s really all very logical, easy stuff once you know it. Bonus points if you use some keywords in your subheadings but remember the most important thing: never force them in. Au natural ladies (and gents). I kinda struggle with this one because I’m a rambler. However, those sneaky google bots prefer shorter sentences. Like this. Don’t let it completely overrule your natural style of writing but it’s worth bearing in mind. The same goes for paragraphs. After years of essay writing at university, I was a long paragraph obsessive. It’s taken me years to get over this and break the habit but now all my paragraphs are short, sweet and so much more digestible. Shorter sentences and paragraphs make your writing more readable. That makes your writing more user friendly. That makes Google happy. See, there’s a pattern forming here! Have you ever looked at the little red flags on your Yoast plugin and thought, what the sodding hell is passive voice?! I’m an English Literature grad and even I struggle with this one. It’s not a straightforward concept and you really have to think about it – all nouns this and nouns that. Which is fine but I don’t like to think that hard when I’m writing. I just want to, well, write. So what I’m trying to say in a rather roundabout way is that I wouldn’t worry about this one too much. If you’re a super keeno on turning all those Yoast traffic lights green then sure, go nuts and eliminate the passive voice. But honestly, it’s really not going to make that much difference to how your article ranks. Don’t lose sleep over the passive voice. Totally not worth it. So how does it make your post more user friendly? There are several scenarios in which alt text may come in handy. The first is if the images in your post don’t load for whatever reason. Instead, the page will display the alt text so you can at least get an understanding of what the image should have looked like. The second is for accessibility reasons in that it enables the blind or partially sighted to understand the images. Finally, Google is pretty smart but it can’t read images. So provide it with alt text and you’ll make those little bots happy as anything. Plus you’ll improve the chances of appearing in the image search results. Try to include your keyword in one of the images in your post (repeat alert: but ONLY if it’s natural). The alt text should describe the image. Period. In short, if it’s good for the reader then it’s good for Google. And that’s the big fat secret behind SEO. Seriously though, if you have any questions whatsoever then please do get in touch, however silly they may seem. Use the comments below or hit me up on social. Happy SEO-ing! Welcome to my little pocket of the internet. 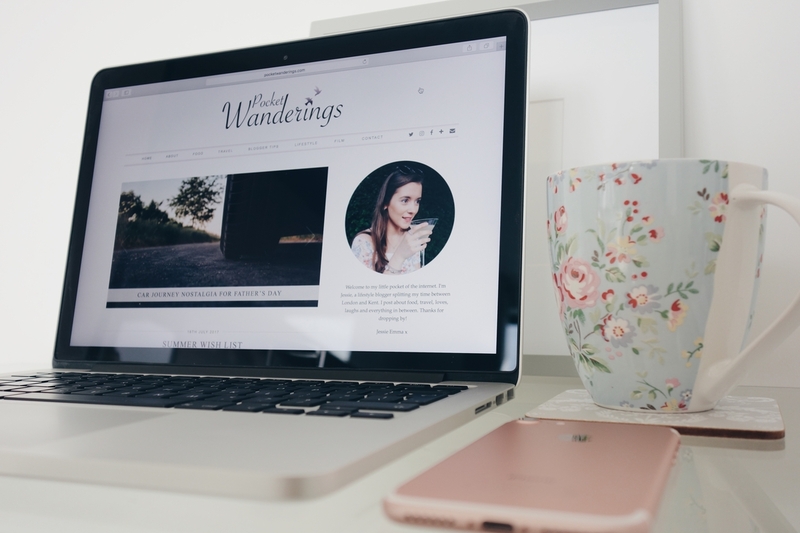 I'm Jessie, a British lifestyle blogger splitting my time between London and Kent. I post about food, travel, loves, laughs and everything in between. Thanks for dropping by!